1. 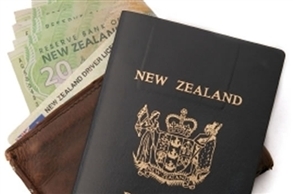 On arrival in New Zealand the passport that you are holding will need to be valid for a minimum of three months after the date that you intend to depart. A lot of people will qualify for Visa Free entry but this does depend on your country of origin. Some people will need to apply for a visa before travelling to New Zealand. You will not need a visa or permit if you are a New Zealand or Australian citizen or a Resident Permit holder, An Australian citizen travelling on an Australian passport, a British citizen and British passport holder. You must be able to produce evidence that you have the right to live in the UK on a permanent basis or you are a citizen of a country which has a visa waiver agreement with New Zealand. 2. If you are planning to be in New Zealand for six months or more you may be required to provide a chest x ray certificate. To be able to enter New Zealand as a student, worker or visitor you will need to satisfy Immigration officials that you have an acceptable standard of health. This is to protect public health in New Zealand and a good way of making sure that excessive demands are not put on public services like health and special educational services. It is unlikely that you will be granted permission to enter New Zealand if you have suffered from TB or are at high risk or requiring residential care, hospitalisation or high cost pharmaceuticals. If you are likely to be staying for a year or more you will need to provide a General Medical certificate and chest X Ray certificate. You may not need to provide this again if you have previously done this in the last thirty six months. 3. In order to ensure that your application runs as smoothly as possible you should take care to include all of the information that is asked of you and you should be sure to enclose the correct fee for your type of visa. 4. If you are applying from overseas you must have your application accepted before you set off to travel to New Zealand. Not doing this could prevent you from entering New Zealand when you do arrive so make sure that you follow the process correctly!